The Colombian government has announced a crack down on criminals and illegal armed groups who allegedly seek to illegally finance political campaigns ahead of local elections held in October. 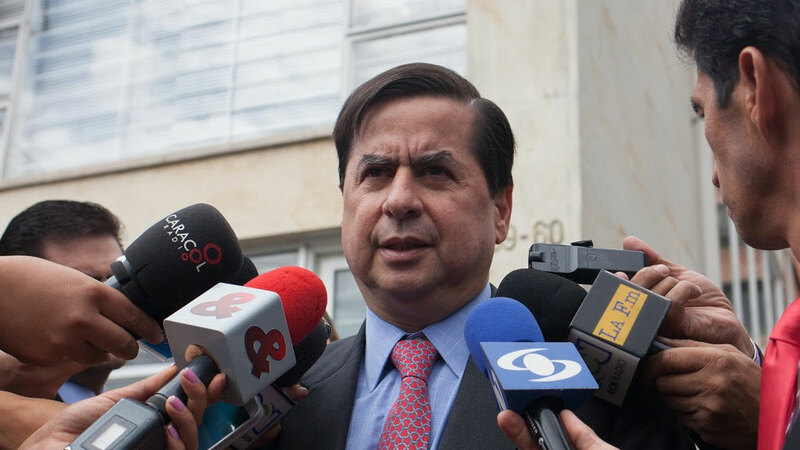 Interior Minister Juan Fernando Cristo announced that he is preparing a declaration agreed by the National Electoral Commission to define the necessary monitoring instruments to combat this issue and to regulate political campaigns. “We must put an end to the mafia and bandits that distort electoral reality in our municipalities. We will devote ourselves to punishing the electoral mobsters responsible for these illegal acts,” he said. Cristo explained that the plan to prevent these illegal practices includes giving powers to the registration offices so that, once the registration is completed, checks linking to the health service can be carried out to determine someone’s right and eligibility to vote within w constituency. “This will send a clear message to bandits so they know they will be met with a fight and be punished for this crime,” Said Cristo. The decree will also be issued so that the parties can submit lists of candidates in order for government entities to point out which are viable and which are not, taking into account their background or possible disabilities. He also announced that he will finalize the National Plan for Electoral Guarantees including the concerns and suggestions of political parties. The plan should be approved at the next meeting of the Committee on Electoral Monitoring on March 24. Colombia has had a long history of electoral fraud. Political parties are widely known to buy votes for money, food or building materials. The 2014 Congressional elections were “the most corrupt in recent memory,” according to election observers.